The Match.com IPO will price tomorrow, Nov. 18. The deal is set to raise $433 million as the company sells 33.3 million shares at a $12 to $14 price range. That’s why we made a three-step strategy for investing in Match.com stock. The Match.com IPO is a spin-off of IAC/InterActiveCorp (Nasdaq: IACI), which owns a number of websites, including Vimeo and The Daily Beast. After the deal, IAC will still own 86% of Match Group and all of the company’s Class B shares. That means IAC will have almost all of the voting power. 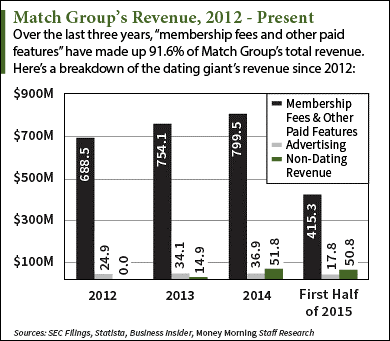 Match Group is the largest division of IAC and owns 45 dating and educational services. These include Match.com, Tinder, and The Princeton Review. Over the last six years, Match has acquired 25 different brands for a total cost of $1.3 billion. It plans to close its $575 million acquisition of dating site PlentyOfFish by the end of the year. As the largest online dating conglomerate in the United States, Match Group will keep targeting a growing demographic. 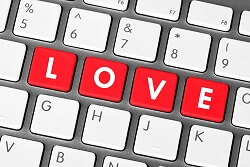 According to its IPO filing, the company targets “adults in North America, Western Europe, and other select countries around the world who are not in a committed relationship and who have access to the Internet.” As of Sept. 30, Match's dating sites attract 59 million monthly active users and 4.7 million paid members. Match Group is also working to expand its mobile customer base. The company reported 68% of new registrations came from a mobile device during the first six months of 2015. Match believes the mobile space will be key for growth moving forward. It posted $888.2 million in revenue last year, up 10.6% from 2013. It saw a 64% increase in profit between 2012 and 2014 and is one of the few Internet-based companies to be profitable before going public. Despite its profitability, the company will not pay dividends anytime soon. It will instead use earnings to grow the company. An undisclosed portion of the IPO proceeds will be used to pay back debt owed to IAC. Another problem Match Group faces is volatility in the IPO market. According to Renaissance Capital, a manager of IPO-focused ETFs, only 163 IPOs have priced this year. That’s down 36% from last year. All 2015 IPOs have seen an average decline of 4.9%. According to Money Morning Chief Investment Strategist Keith Fitz-Gerald, IPO investing is always dangerous for retail investors. That’s because traders who aren’t big-time investment bankers or hedge fund managers can get burned from the IPO market if they’re not careful.